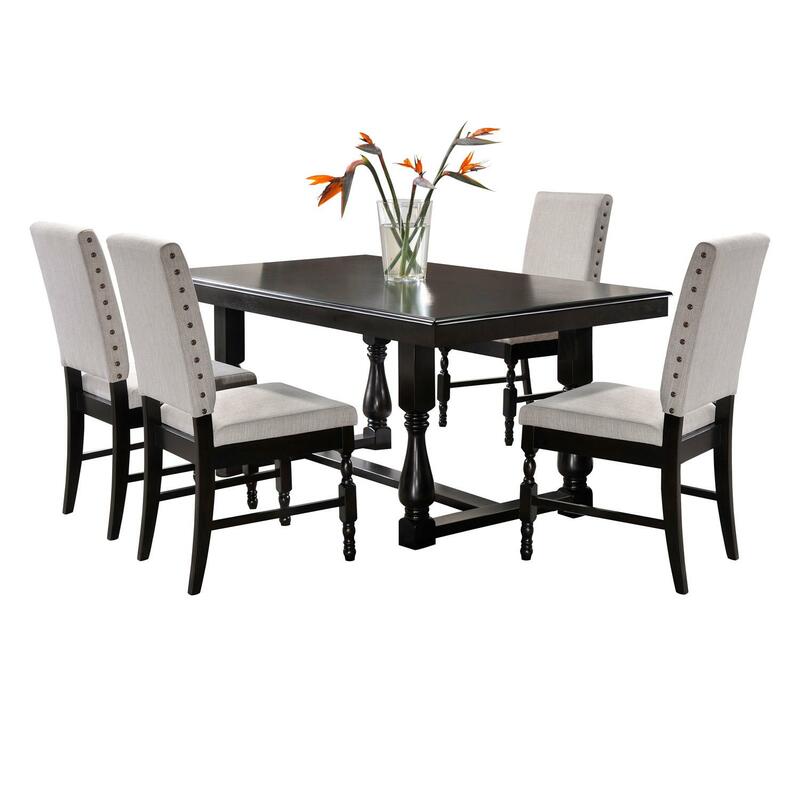 Enjoy your meal in the stylish and comfortable Madison 5 Piece Dining Set. 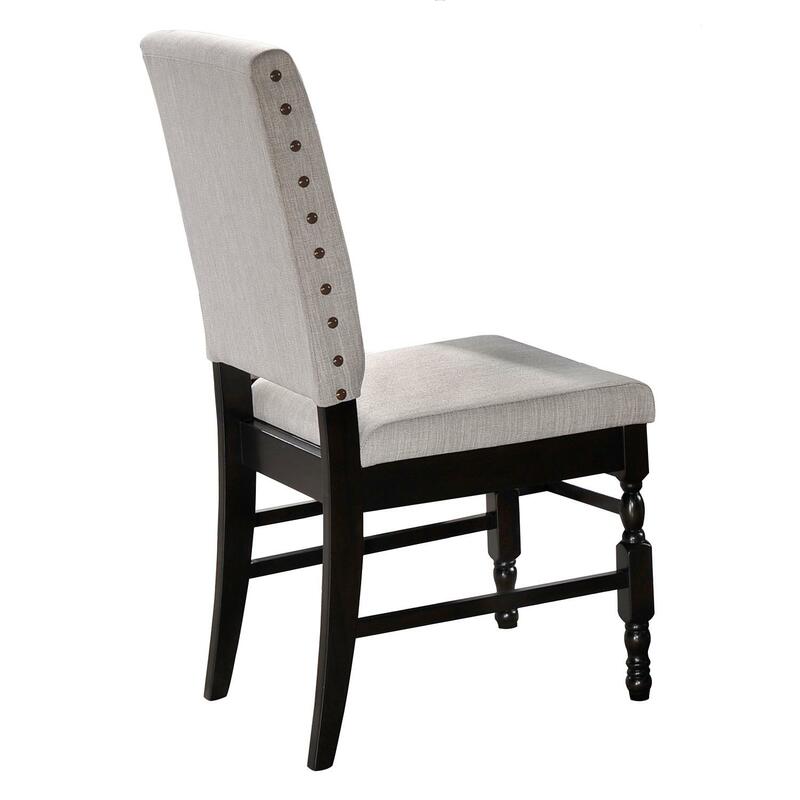 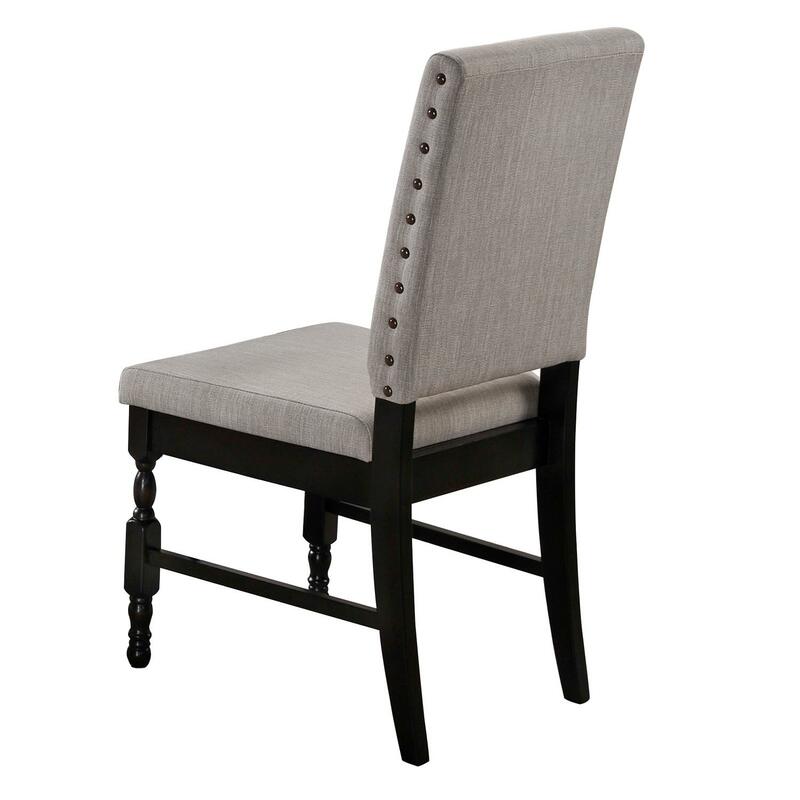 Oversized with a thick padded cushion, these chairs are covered in a beige linen fabric with contrasting antiqued charcoal finished legs and decorative nail head trim. 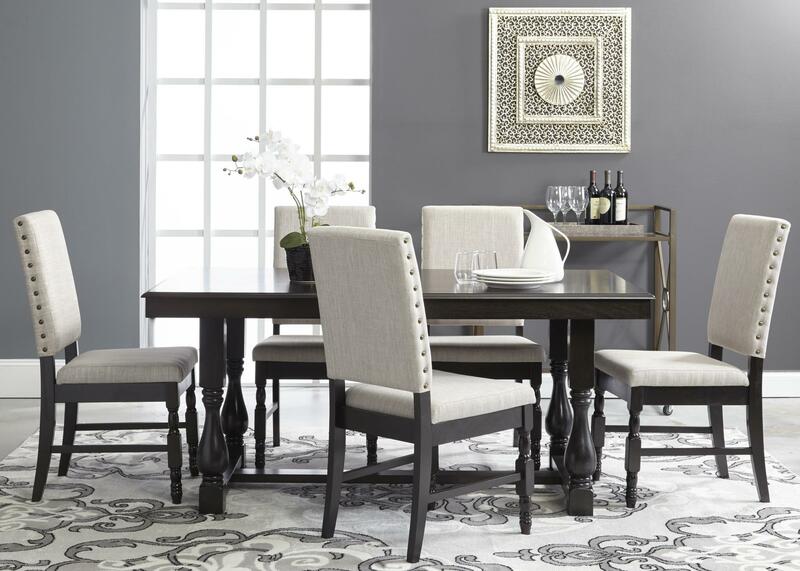 The Madison 5 Piece Dining Set includes a grand deep charcoal finished table with a lower shelf.